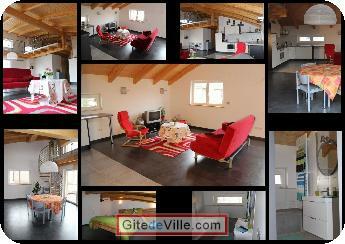 Vacation Rentals - Holiday Rental ads in the city of Mittelhausbergen in France for Tourism. Self Catering Vacation Rental of 60 m² in Mittelhausbergen for 4 peoples. Authentic new furnished LOFT flat with a nice volume in a modern and cocooning atmosphere on the 1st floor w/o lift. At about 10 minutes by car from Strasbourg center. Owner of an urban accomodation or B&B to rent in Mittelhausbergen ?